handeliers–love ’em! 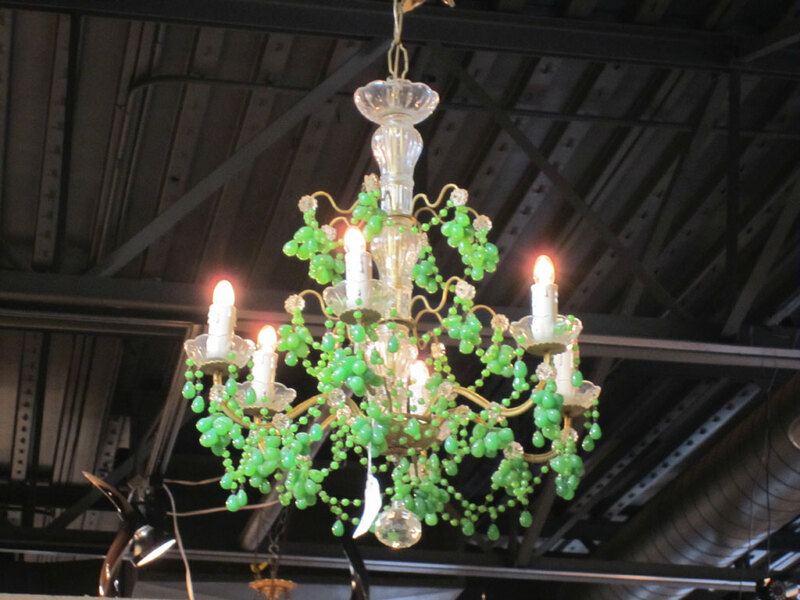 I’ve been looking for the perfect chandelier to hang over the kitchen table. The French rustic table is painted gray and white—found it at Dovetail Antiques in Cashiers, North Carolina. The table has beautiful rounded leaves that drop on each end. 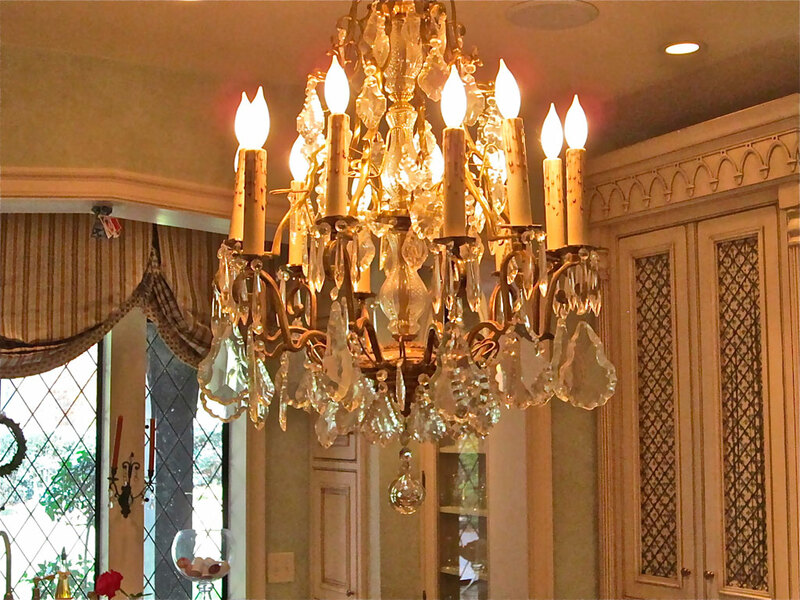 I want an ‘over the top’ crystal chandelier to contrast with the table and add some glamor to the kitchen (if a kitchen can be glamorous.) Here are a few of my choices. This was my inspiration–already spoken for. So glamorous. I love something shiny! 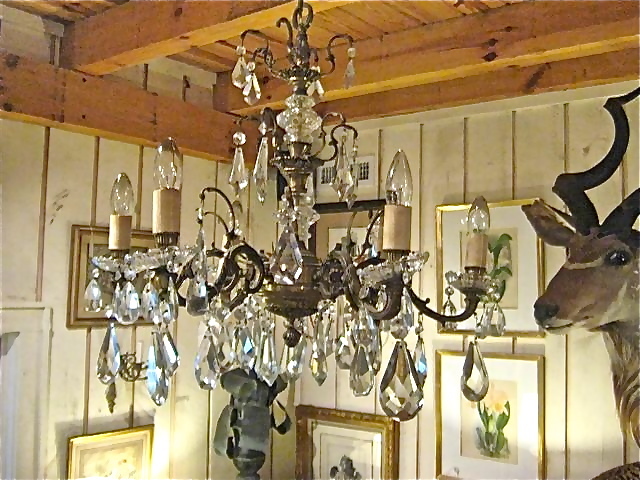 This iron and crystal chandelier measuring 13 x 26 is at CK Swann Antiques in Highlands, North Carolina,. This little gem is really sweet. The green is a real statement. I found this one at Peachtree Battle Antiques. Stunning! Just a little bigger than the others, and vailable from Ryan & Co. in Cashiers, N.C. Decisions, decisions … I won’t keep you in suspense any longer—I chose the last one. This is a little larger than I was thinking of using over the painted table, but it’s a real stunner! I love the little green glass and crystal one, too. I may have to find a home for it, if you don’t beat me to it. I can see this one hanging in an entry, a guest bathroom or even a girls room. How charming this would be in a laundry room, with all those bubbles! 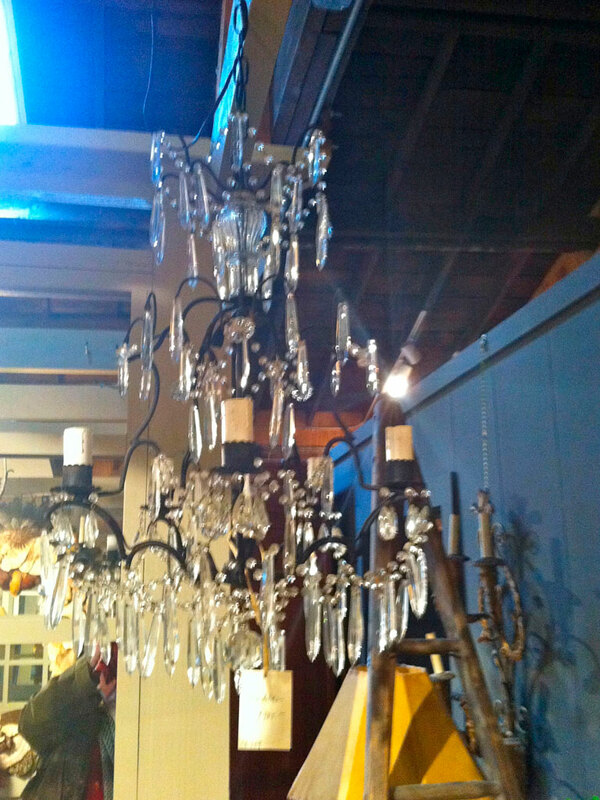 The Iron and Crystal smaller chandelier would be just beautiful in an entry or a bedroom. I need all of them. Maybe I have a chandelier problem! Help me out and buy them. We Have Floors! The stain is still wet, so this picture was taken through the front window. 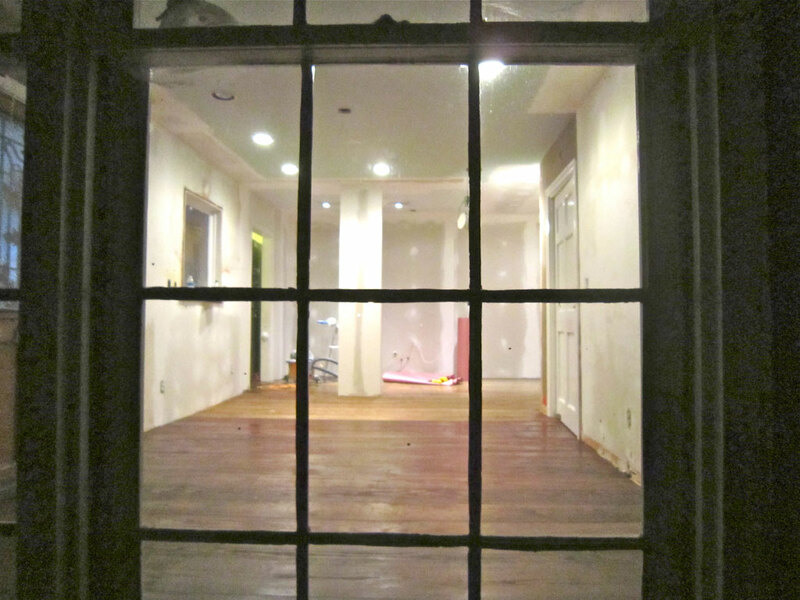 The floors will take another 3-4 days to finish–so much more to do. I can see why this was a difficult decision…all beautiful, and you made a great choice! I like the green one. But that’s just me. I’m going to consider dressing up my chandelier with some beads, etc. Mine almost looks identical to the “skeleton” of the little green one.